A controlled explosion in the aircraft baggage successfully retained by a layer of anti-bomb developed by an International researchers team. 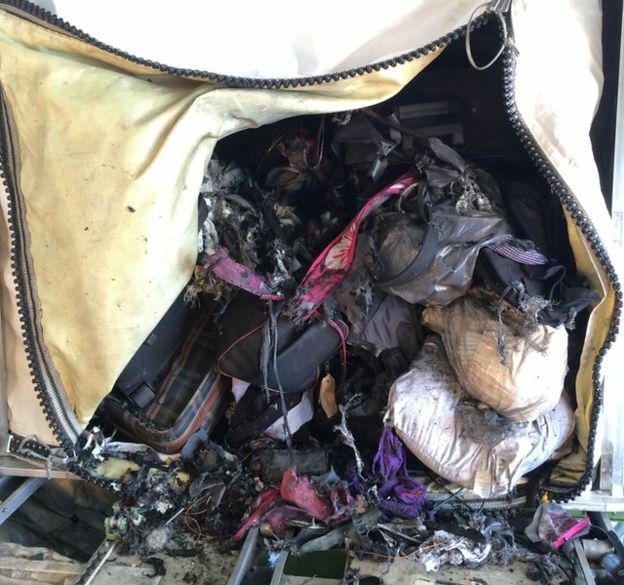 The technology that shows how the plane luggage could probably withstand the force of an explosion if the device is hidden in a suitcase exploded. The Fly-Bag is made from multiple layers of fabrics and composites that have high strength and impact, and heat resistance. The fabric layer contained Aramid, heat resistance and strong synthetic fibers are used in the aerospace industry, also for bullet-proof vests. Flexibility of the layers that increase resilience to tame an explosion and blast fragments, said Dr. Andrew Tyas from the Department of Civil and Structural Engineering, who led the research at the University of Sheffield, UK. He added, the Fly-Bag acts as a flexible membrane rather than a rigid container that can rupture due to collision. 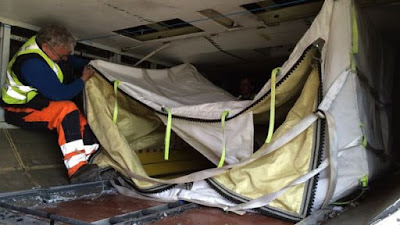 Test explosions in the laboratory proved that the Fly-Bag prototype can hold a controlled explosion in the trunk of a Boeing 747 and Airbus 321, which is used for the latest testing. In those testing, first the researchers create a controlled explosion in the baggage without Fly-Bag coated. 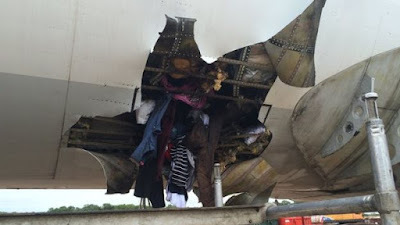 The explosion causing a gaping hole in the fuselage, which can be fatal if the plane was traveling at high altitudes. In the second test a bomb placed in a suitcase and put in the trunk coated with Fly-Bag. The camera footage shows the bag slow movement when the explosion showed the bag expands and contracts but not torn. The integration of fuselage structure intact. Renowned British security consultant, Matthew Finn said the Fly-Bag can be a lifesaver when someone managed to smuggle an explosive device into the plane. "The risk that we always face in aviation security is whether someone can put something in the air. So a lot of our time and attention focused on the risk mitigating of people put something on the plane," he said. "What's the Fly-Bag did actually accept that it could be someone managed to put something in the plane. And therefore, the next question becomes how we can mitigate the blast effects of the explosive device in altitude in the plane," he added. The need for a mitigation of explosive devices in the aircraft increased on October 31, 2015, when a bomb destroyed the Russian passenger plane over Egypt and killed 224 people on board. ISIS claimed responsibility for the attack, and issued a photo of Schweppes soft drink cans which used to make homemade bombs that destroyed the Russian aircraft. Explosion experts say that the explosive device seen in the photo was made possible destroyed of the aircraft, depending on where was it located and the explosive density in the beverage can. The most vulnerable location include the fuel pipe, cockpit or any area which is close to the fuselage skin. The attack was parallel with the bombing of Pan Am Flight 103 by Libyans over the town of Lockerbie, Scotland, in 1988. The investigation showed explosives in a palm-sized cassette recorder in a bag in the trunk has caused rips a hole about 50 centimeters in the fuselage and decompression causing the plane broke up in the air. As a director of security consulting Augmentiq that offers tools to increase security at airports, seaports and international borders, Finn said the Fly-Bag can be considered as a way to mitigate such an explosion on the plane. "I think it has got the capacity to change how we see the luggage. We spend a lot of time thinking about the reconciliation of passengers and their bags; since 1988, since the Lockerbie disaster, it becomes a big focus in the aviation industry," he said. "What the Fly-Bag did was a look at those situations where there may be a device in the plane, and how to overcome them. I think this is an exciting development and I would like to see more," he said.